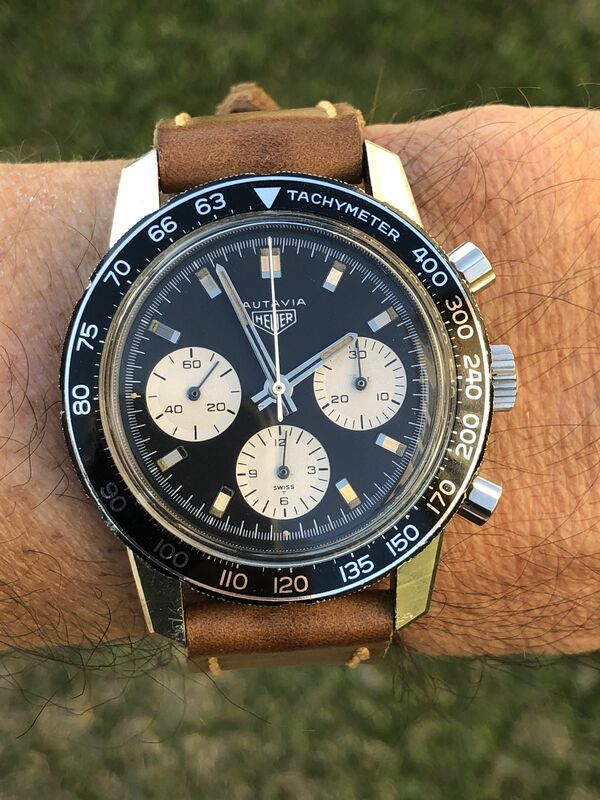 Up for sale is a very nice Heuer Autivia 2446C. Dial is original with original markers and hands. Very good near flawless Tachymeter insert. Excellent case with thick and even lugs. Case has previously been polished. Original Heuer crown and fluted pushers. Reference numbers are clear and fully intact. Serial number polished and unable to read. Original case back inside stamped Heuer. Mechanical automatic self-winding Valjoux 72 movement signed, keeping good time. Watch serviced in 2017. Chrono resets to zero as it should. Asking $8,000 or best offer. Wire or PayPal (please add). Internationals please add for shipping and insurance. Many references available.